Oobleck is a great, and kids LOVE it. 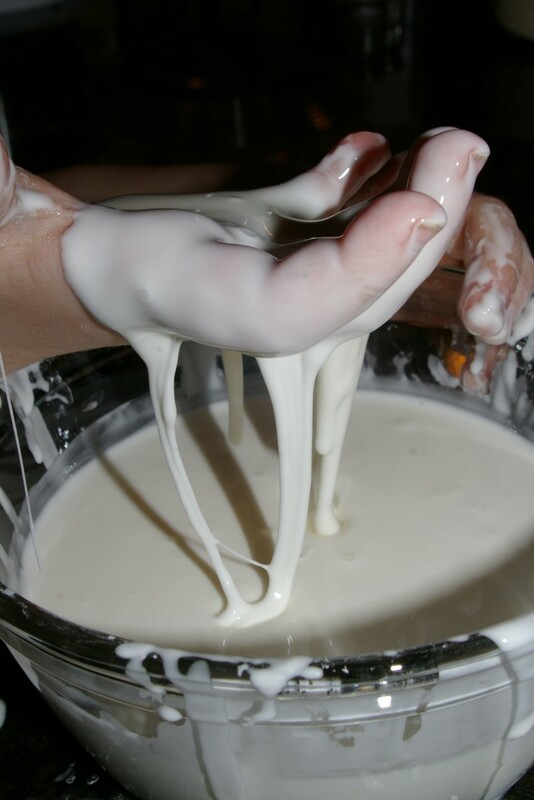 If you have never made it before Oobleck is a mixture of cornstarch and water. When played with fast it acts like a solid and when allowed to relax it acts like a liquid. Such a fantastic science idea, we explored this during our science lesson at uni. There are fantastic examples on youtube.